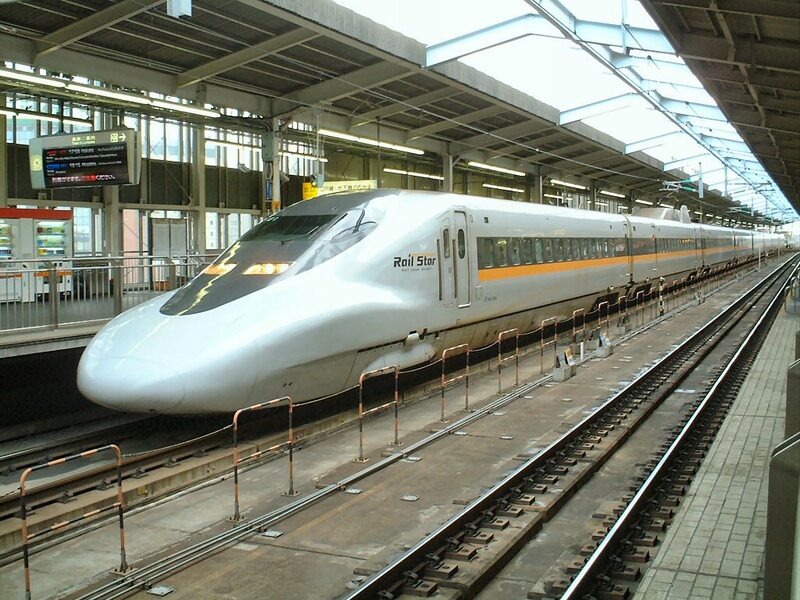 The 700 Series is a Shinkansen-type electric multiple unit designed by JR Tokai and JR West to replace their aging fleets of 0 and 100 Series Shinkansen. It was also meant as a more practical option than the expensive 500 Series. 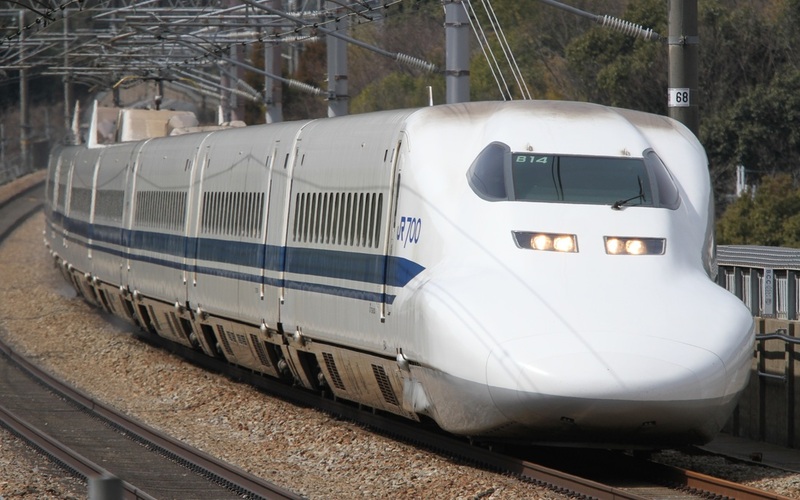 The 700 Series was the first of the Shinkansens to adopt the platypus-like nose. This nose was designed to reduce noise, vibrations and also the "bang" made when entering and exiting tunnels. The JR Tokai and JR West trains are nearly identical on the outside but the Tokai version is equipped with bogies based on the 300 Series while the West version is based on the 500 Series. JR West operates 8 car long formations known as the Hikari Rail Star which have a different paint scheme. These are known as the 700 Series 7000 numbers. One of the distinct features of these trains is the variety of seating options available. There are seats that have a desk and power outlets for business people and compartment seats for groups and families. Production has since switched to the N700 Series and JR Tokai has already scrapped one set for parts. Many other trains have been moved from JR Tokai to JR West.